The concept is simple: Bring the user outside. Get them inspired. Reconnect them to the outdoors. Venture out, worry-free. 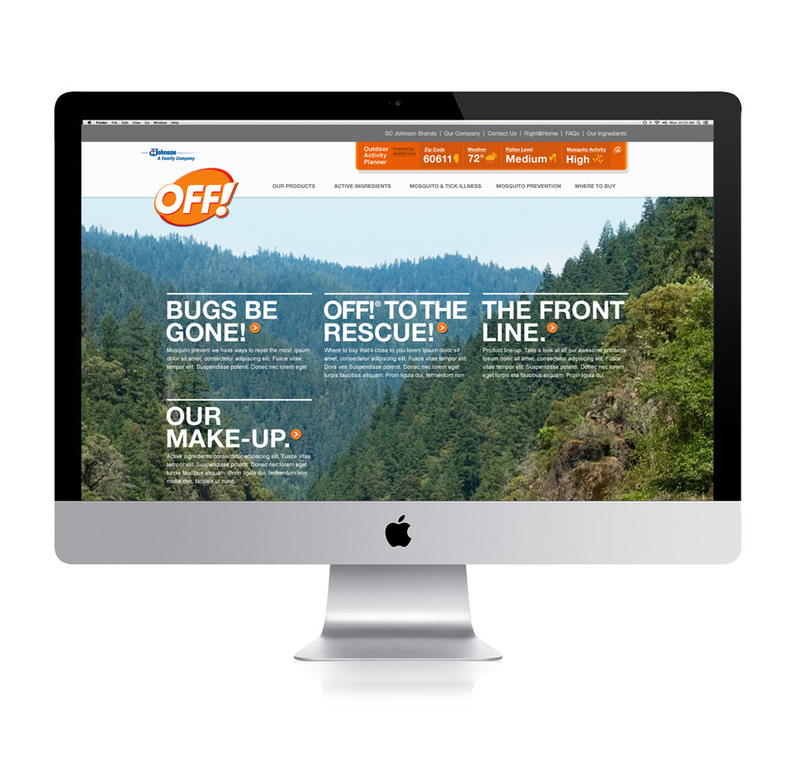 OFF! 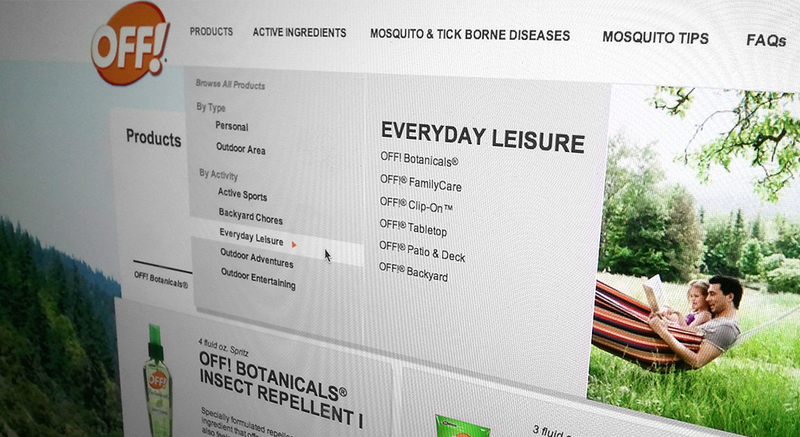 Bug repellent needed a complete website re-design and content re-structure to better reflect their brand and connect with consumers. Leveraging the 'be outside' strategy, the visual took on an expansive feel by opening up the space and using large, awe-inspiring, outdoor imagery. Working closely with the client and XD Team, it was identified that accessibility of product information and brand reliability were the priorities. 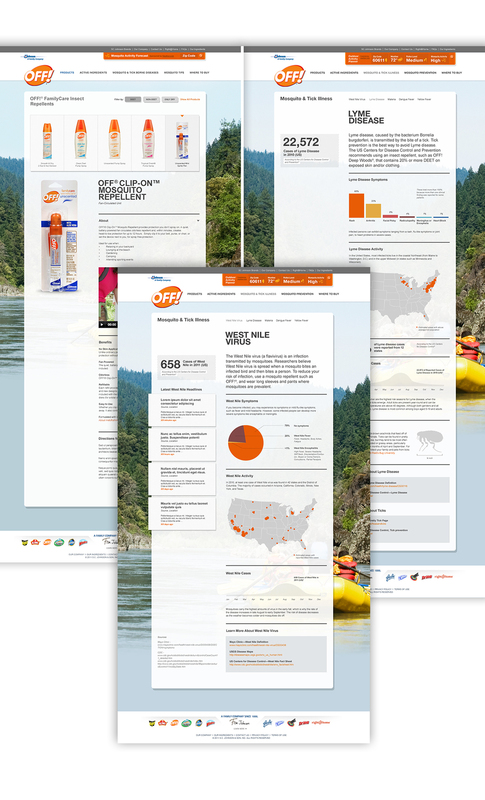 In the re-design, product families can be easily searched and ordered based on useful filters such as type, formula, benefit, and form, which encouraged purchase consideration.